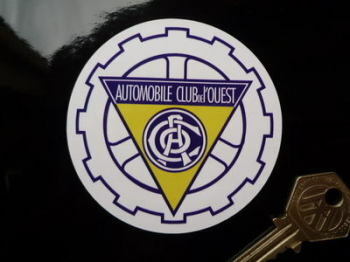 ACO 1960's & 70's Circular Sticker. 3". ACO LeMans Radio Europe 1 c'est naturel Oblong Car Sticker. 5". LeMans A.C.O Concurrents Art Banner. 30".